I don’t usually participate in these blog memes, not because I have any objection to them, but from lack of time, energy, or imagination on my part. 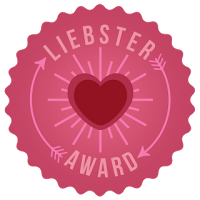 That said, Michelle Joelle, who I have a high regard for, and whose high quality blog I very much recommend, nominated me for the Liebster Award. It appears to be designed to recognize quality blogs that have fewer than 200 followers. Accepting this nomination means answering some questions and nominating five other blogs. The main reason I’m making an exception for this one is because the questions look fun and interesting. 1. If you had one wish to gain any talent what would it be and why? Speed reading. There is so much to take in and so little time, I’d love to be able to read at 2000 words per minute or some other hyper rate. When I was younger, I likely would have said something to do with music or physical prowess. I don’t believe in ghosts as something that exists outside our minds, mainly due to the lack of incontrovertible evidence. I do think the word “ghost” can refer to our mental conception of someone. Everyone we know, we know due to a model of them that we’ve constructed in our mind, built from sensory input. When they die, or simply exit our lives for some reason, the model remains, and can continue to have a powerful influence on us. For someone who affected a lot of lives, their “ghost” can affect people for a long time after they’re gone. 3. What have you learned blogging? I’ve been blogging for about three months now, and I continue to learn something new almost every day. Some lessons learned: be brief, don’t be afraid to repeat yourself, don’t try to cover too much in one post, allow your fellow bloggers and commenters to inspire you, and most importantly, don’t be afraid to change your mind. Also, use graphics, don’t post updates in the middle of the night, and use social networks to let people know your blog exists. 4. If you could live in any fictional world what would it be? Why? Iain Bank’s Culture. Why? Well, it’s a post-scarcity, post-human, post-mortal, post-everything bad, high technology utopian paradise. It seems to be the closest thing to heaven in science fiction. I’d be puzzled why anyone would not want to live in that society. 5. If you could say anything to one Ex what would it be? Thinking of someone I dated decades ago, I would apologize for my lack of maturity at the time, and complete cluelessness about what she was going through. 6. If you could have one mythical creature as a pet what would it be and why? The term “mythical creature” generally evokes something fearsome to me. Either that or something too intelligent to be a pet. I would probably pick one of the tamer dogs because, well, I like dogs. 7. What is your favorite book? Why? This is another tough one. I can’t really say I have a favorite book. In non-fiction, I’m a big fan of Dorris Kearns Goodwin’s ‘Team of Rivals’, which documents the politics in the Abraham Lincoln administration. Richard Friedman’s ‘Who Wrote the Bible’ and Robert Wright’s ‘Evolution of God’ were mind expanding experiences for me. In fiction, it’s hard to beat Lord of the Rings for epic fantasy, and the Big Three in science fiction: Arthur C Clarke, Isaac Asimov, and Robert Heinlein. I also enjoyed a lot of Jack Vance’s stuff. More recently in science fiction, I’ve enjoyed Alastair Reynolds, Iain Banks, Charlie Stross, John Scalzi, and Dan Simmons. 8. What would your last meal be? 9. Did you make a News Years resolution? What is it? I do make resolutions periodically, although they only rarely fall around the new year. However, I almost never talk about my resolutions. The reason is that, at least for me, talking about my resolution triggers some kind of reward mechanism in my brain that satisfies my motivation for making the resolution, which usually short circuits me actually following the resolution. My goal when making resolutions is to keep it to myself, but work to have someone notice that I’m doing whatever it is I want to accomplish. So if I want to lose weight, my goal is to lose weight to the point where someone notices and comments. Usually that takes time, time during which the new activity, practice, outlook, or whatever becomes a habit. 10. Are you sticking to the resolution? And now for my nominations. Another reason I usually shy away from these is that picking who to include is really tough. There are a lot of excellent blogs out there. These are ones I think deserve your consideration and that I think have fewer than 200 followers, but that’s hard to determine since you can have WordPress followers, Facebook followers, Twitter followers, RSS followers, etc. As Michelle said to me, participation, to whatever degree you choose, is completely voluntary. This entry was posted in Zeitgeist and tagged award, awards, blogs, Liebster Award. Bookmark the permalink. Thanks for your answers to those questions and for nominating my little blog. Now I’ll have to figure out whether to answer those questions myself – that would be fun – and nominate some other blogs – that would be fun too, but require more work, because I haven’t read that many other blogs that would qualify. But what’s to stop me from nominating your blog and Awesomeaustin too? What’s the worst that could happen? A notice from WordPress that I’ve broken the nominating rules? An avalanche of angry comments? Sounds like it will be worth the risk and maybe you guys will get some more well-deserved traffic! I might even use your speed-reading answer. It’s a really good one. I feel like such a rebel! Seriously, your answer about what you’ve learned raises a question. I wonder sometimes about self-promotion. Should I post when more people are online, for example? Or link to my own blog? If you’re writing things that you think are worth sharing, doesn’t it make sense to “advertise” what you write? And yet it feels somehow improper to do that. Last year, one of my posts got 900 hits in a single day after I put it on Reddit. It felt like cheating. And that I was giving up on the idea that every golden word I write should attract the world’s attention without any extra assistance from me! LOLS, I’m pretty sure you’re safe from the award police. On self promotion, I think it’s a balancing act. Most of us want an audience. The trick, it seems to me, is to be discoverable, but not pushy. But I’ll admit that I’m still figuring this out myself. This was the best awards post I’ve read to date on WP. I don’t recall why I started following your blog, but I’m certainly glad I did. I’m a newbie follower but what posts I’ve read, I’ve really enjoyed. I’m looking forward to reading more from you. Congratulations to you and your nominees! Well deserved. Wow, your comment made my day. Thank you! Thanks for nominating my blog. I’m flattered. My pleasure. It’s well earned. You’re definitely welcome. Yeah, it took a while for me to come to the second paragraph myself. I fear I probably can’t enter though, not because I have 200 followers (far, far fewer I suspect) but because I would probably give pretty much exactly the same answers to an embarassingly large number of those questions. I guess I should blog more. I think I don’t blog much because there is much more interaction to be had by commenting on the blogs of others. Most of my blog posts get no comments at all, and it’s the discussion that I really love. You’re welcome! No worries at all on the award stuff. It’s all in fun. I did find your blog interesting and thought others might as well. And I’m with you on loving discussion. Thanks Michelle. Your answers inspired me! Thanks for nominating me, SAP! I’m honored to be recognized by someone whose rigorous thinking and passionate writing on important subjects I respect greatly. Also, I definitely agree with your preferred superpower — fantastic idea. Very happy to do it, and thank you for your kind words. Congrats ‘SAP’ – keep it up!